Coupon Description: With this More Beer promo code you can save yourself $8 on aextra long 36″ hardwood maple mash paddle. The extra length gives you needed leverage to really stir a thick heavy mash from 5 to 40 gallons. This home brewing mash paddle is carved by hand in the USA by a artisanal wood worker. This home brewers mash paddle has a very smooth and sanded finish. Best of all, this homebrew paddle is oil free so it wont transfer any foam killing oils into your beer. Small circular hole at top of handle allows for easy hanging in your brewery. This home brewing mash paddles make a great gift for a homebrewer! Coupon Description: More Beer has a sale going on right now that will save you $10 on a walnut homebrew mash paddle. This is a beautiful mash paddle that is carved in the USA from a single piece of premium walnut. It has been sanded to a smooth finish and is a fantastic gift for any home brewer. 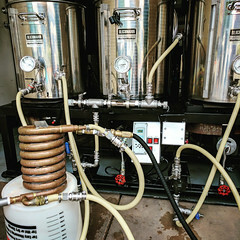 The extra long 36″ length provide the needed leverage for mash sizes up to 20 gallons. It easily cuts through the grains in a mash breaking up even the toughest dough balls. 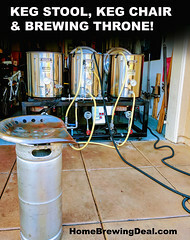 Coupon Description: MoreBeer.com currently has a coupon code that will get you a stainless steel home brewing mash paddle for just $31. 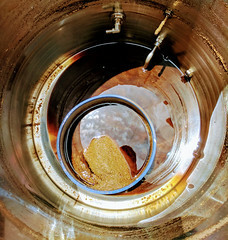 This homebrewing paddle is strong enough to fight off zombies and break up the toughest mash! This new 100% Stainless Steel Mash Paddle is 36 inches long and the perfect for any home brewing mash tun. The paddle itself is a solid piece of stainless steel with 11 half-inch holes drilled in it to allow grain to pass through, while at the same time breaking up any chunks in you home brew mash. Coupon Description: HomebrewSupply.com currently has a promo code where you can get a Stainless Steel Homebrewing Mash Paddle for just $19.95. Need a sturdy mash paddle that will stand the test of time? Well this is the home brewing paddle for you. It is built from stainless steel and measures in at 36″ long. Best of all, for today only you can pick it up for just $19.95. 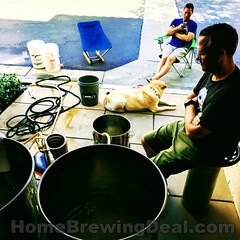 Coupon Description: MoreBeer.com currently has a coupon code for a $39 for a Hardwood Homebrewing Mash Paddle. This homebrewing mash paddle is hand carved in the USA by a artisanal wood worker. The home brewing mash paddle has a very smooth, sanded finish but is oil free so as not to transfer any foam killing oils into your beer. Small circular hole at top of handle allows for easy hanging in your brewery.